Fruugo is preparing launch of an extensive range of products from around the world for our shoppers to buy. If you are a retailer please contact us right now to join this department. Experience improved sound clarity - even in noisy environments - with the acoustically tuned speaker. The headset automatically mutes for an incoming call and resumes playing when the call has ended. Answer/End key on headset allows users to place, receive and end calls without touching the phone. Simply press the button on the headset and start talking. 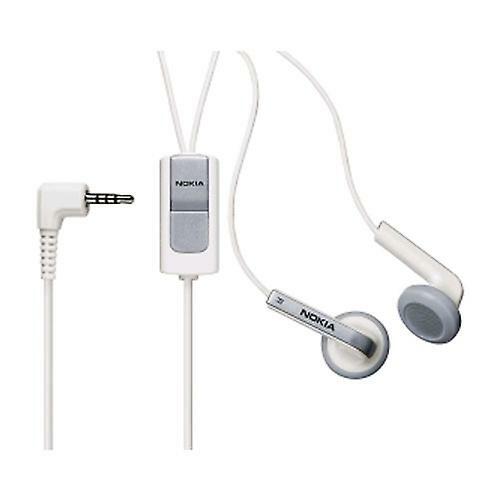 Ideal for private hands-free operation Compatible with: Nokia 1200, 1208, 1209, 1650, 1680 classic, 2600 Classic, 2630, 2760, 3109 Classic, 3110 Classic, 3110 Evolve, 3120 Classic, 3500 Classic, 5200, 5220, 5300, 5310, 5320, 5610, 5700, 6110 Navigator, 6120 Classic, 6121 Classic, 6210 Navigator, 6212, 6220 Classic, 6267, 6290, 6300, 6300i, 6301, 6500 Slide, 6555, 6650, 7210 Supernova, 7390, 7500 Prism, 7610 Supernova, 8600 Luna, E51, E51 ( No Camera ), E66, E71, E90, N76, N78, N81, N82, N95, N95 8GB, N96. Domestic Standard delivery takes approximately 2-5 business days from dispatch, while an International Standard delivery takes 5-14 business days from dispatch. Normally track and trace and proof of delivery are not available on a standard service. The delivery timescales do not include any customs clearing times beyond Fruugo's control. Any customs or import duties charged on delivery are solely the responsibility of the customer.